As we approach our municipal election this is a good time to look to the past and our failings in dealing with heritage which Sandy Hill has much experienced. Maybe the past will help us chart a better future. 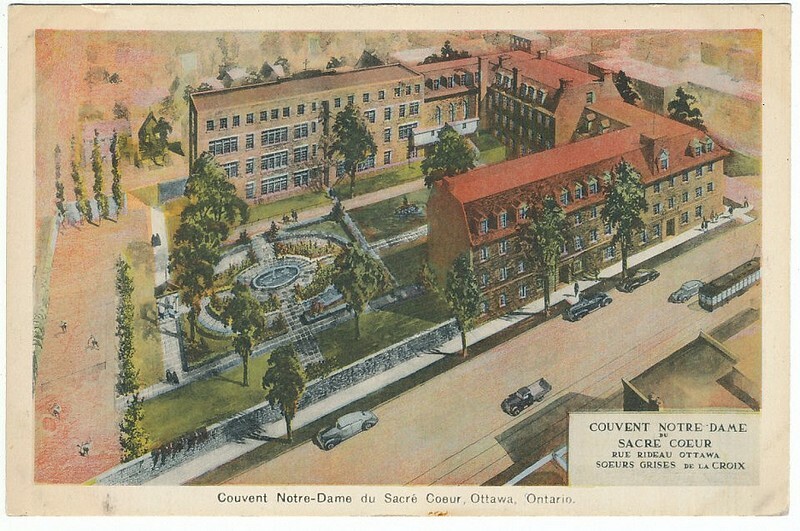 A prime example is the loss of the Rideau Street Convent, or as it was officially known, the Couvent Notre-Dame-du-Sacré-Coeur. It was operated by the Sisters of Charity who opened a school for girls on the site in 1869, over the years adding to it until the convent occupied the block on Rideau Street between Waller and Cumberland. 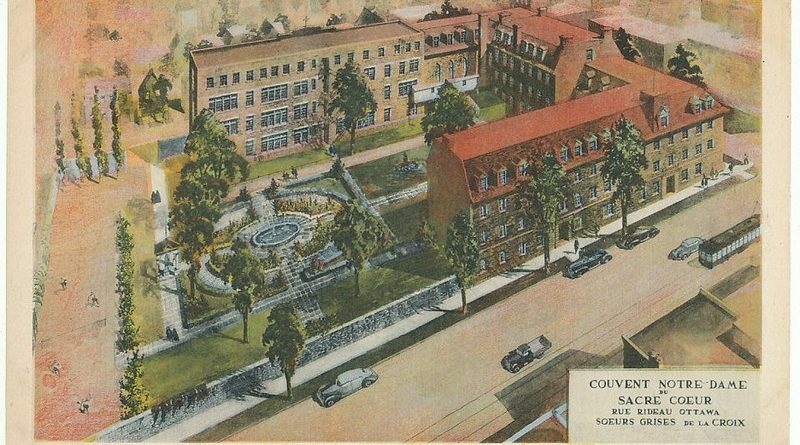 One gets an idea from this stylized Post Card image of the historic building and gardens that once graced Ottawa’s main street how special it was. In 1972 Glenview Realty, who had purchased the site from the Sisters, announced plans to demolish the building. Mary Roaf, president of Action Sandy Hill, helped lead an unsuccessful fight to save the structure including organizing a public demonstration on April 29, placing a makeshift plaque on the building commemorating the Convent’s national significance. While the building was not saved, an 11th-hour agreement resulted in the dismantling and restoration of the 1888 chapel designed by the architect-priest Canon Georges Bouillon. It is now a room in the National Gallery of Canada. I have often wondered, as the city has struggled for the past 46 years with the look and feel of Rideau Street, how different it would be today if the heritage buildings had been saved and the street tied to the Byward market. Looking to the future maybe our political leadership should look to the past mistakes and not repeat them. One should always look forward with hope!